I had the pleasure of babysitting some beautiful babies yesterday! (Okay, fine. 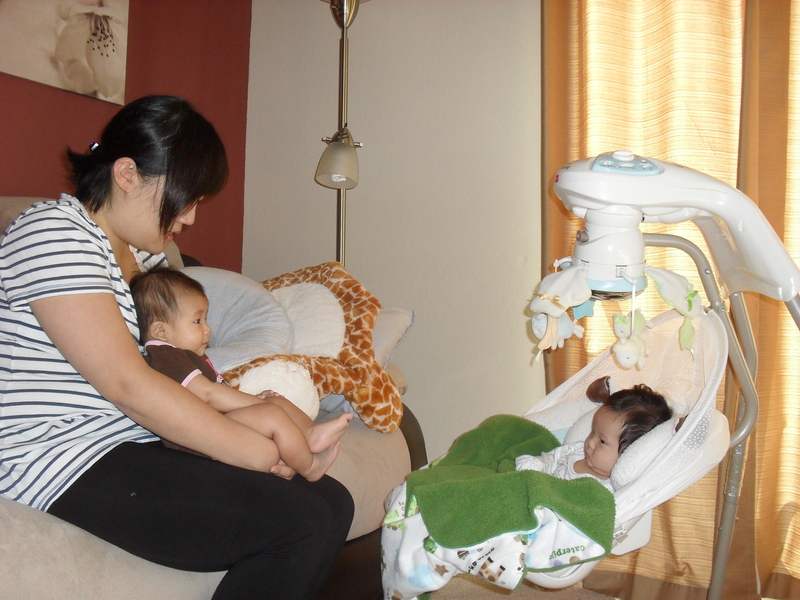 I had the pleasure of sitting around while NOEL babysat two babies, haha. At least I kept her company while she did all the work :P). Susan was kind enough to provide some wraps for us to eat for lunch. I also ate a bunch of the trail mix and the mixed greens. Thanks, Susan!!! The babies were so amazing and lovely to hang out with all day. Eliyah even prayed before taking a 2.5 hour nap… well, I think she was actually talking on the phone with one of her boyfriends and pretended to sleep when I came in to check on her. Hehe. Last night, I had dinner with Joe and Robin. We used a Google Offer for Pho Hoa. Yum, I tell ya! Then we went to Honeyberry and talked for a couple hours about lots of random things. It was fun to laugh all crazy and have 90% of the people in the room stare at us (but I know they were super interested in what we were talking about). Plan for today? Go to Bible study, then perhaps go for a run (I haven’t gone running since the 22-mile trail race last week! ).